With the release of the crossplay update for Minecraft on the Switch, the portable version of Minecraft can now play together with PC, mobile, and Xbox. 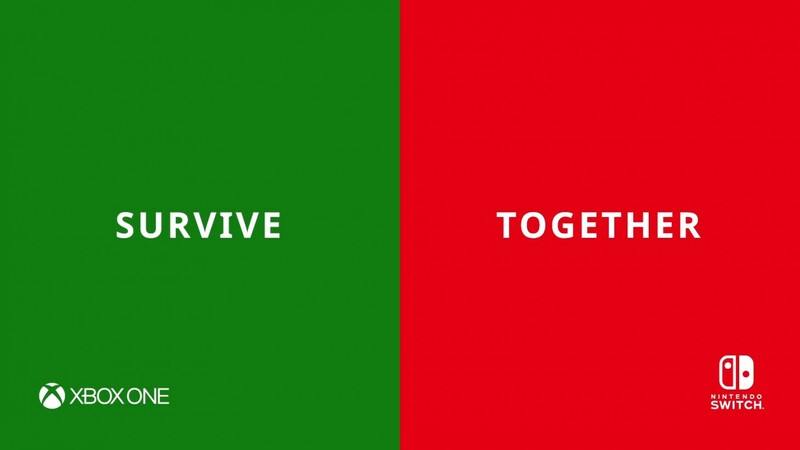 Microsoft and Nintendo are taking quite a bit of glee in this on social media. Nintendo started the tweet chain by asking the Xbox account if they want to build something. In case anyone is curious, according to Twitter search, this is the first time @NintendoAmerica has ever messaged @Xbox. There is no record of the Nintendo account ever interacting with @PlayStation. Microsoft replied with "Our bodies are ready," a reference to Nintendo of America president Reggie Fils-Aime saying "My body is ready" during a Nintendo E3 stage demonstration of Wii Fit, which quickly became a meme and almost as quickly became not funny. At this point, the Minecraft twitter also gets involved, pushing the Xbox and Nintendo accounts to build a heart. The Minecraft account never learned the lesson that you can't push these things and just let it happen organically if you want it to last, but Xbox and Nintendo seem into it, with Microsoft reminding people that Achievements still exist and Nintendo declaring a commencement to the building. Both Microsoft and Nintendo are playing up their crossplay initiatives more, especially in light of Sony blocking Epic Games account from being used on other systems at all getting mainstream attention. Xbox chief Phil Spencer has described Nintendo as a valued partner at E3. It's unlikely the social media love-in was spontaneous and was probably planned. Still, stuff like this gets fans excited, and people like seeing competing brands interacting on social media, especially in friendly ways.